Call us at the number at the top of the page or fill out the form below! Studying a foreign language usually comes with a learning curve—but with an Italian tutor from Grade Potential, you have an immediate advantage over your peers. Our tutors provide highly individualized Italian tutoring that’s completely catered to you—so you are empowered to reach your goals! Classroom instruction is good, but sometimes the one-on-one support that a tutor provides can make all the difference between a subject’s feeling overwhelming and a subject’s making sense. At Grade Potential, we provide Italian tutors who come to you on your schedule and at your location. What’s more, they adapt tutoring to suit your personality and learning style in order to maximize results. 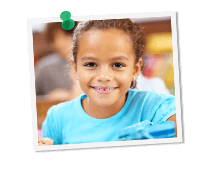 Grade Potential’s Italian tutors work with various grade levels and courses, so whether you (or your child) are taking a beginning Italian class as a middle school student or an advanced Italian course in college, we’re here to help. Our tutors are experts in the Italian language as well as in working with students. Let us help you improve your results in Italian class and make learning enjoyable again! Thanks for your interest in our scholarship! Every six months, we select the essay that our panel of 3 judges determines to be the best. The Fall deadline to apply is November 15th. The Fall winner will be announced to all applicants on December 10th. The Spring deadline to apply is May 15th. The Spring winner will be announced to all applicants on June 10th. Entries must be between 300-1,000 words. No purchase necessary to enter or win. Void where prohibited by law. One entry per household per year. Winner will be notified via email on or before the Winner Selection Date. Failure by potential winner to respond to such notification within ten (10) days of notification, or failure by the potential winner to adhere to these Official Rules, will result in disqualification of the potential winner and an alternate winner will be selected. We’re open until 10 PM today.